Actors dream of being discovered by a major producer or director, because this means having a chance to leap onto the big screen. 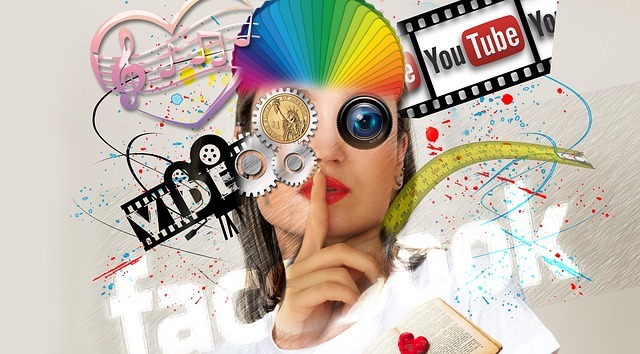 You can increase your chances of being discovered by having a YouTube channel because this platform gives you high levels of exposure to the entire world, all at once. Additionally, all sorts of people use YouTube, giving you not just a huge audience, but a diverse one. Your options are endless as an actor on YouTube. You can create a vlog, comedy sketches, dramatic monologues, or anything else that you find interest. Just remember that the content of your channel has to be of a certain quality, in one way or another, if you really want to get noticed. Many people have a misconception of actors being wealthy divas or rich playboys; however, most actors are living hand-to-mouth in expensive cities such as Los Angeles and New York, working hard to get auditions and callbacks. YouTube is completely free; you do not have to pay this company to upload your videos onto their platform. And whenever a working actor can find something for free, they should take advantage of it! YouTube is the perfect place to exercise your creativity and bring your most ambitious projects to life. 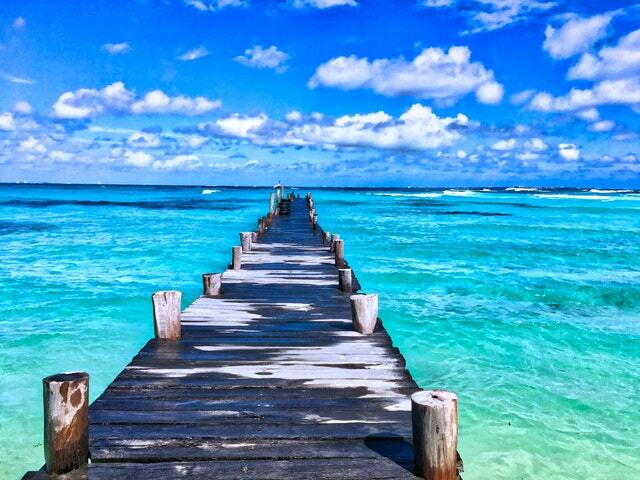 And the best thing about it is that you are in charge every step of the way. YouTube gives you total control over the creative process, and you choose to shoot and edit your videos any way you see fit. And if you want someone to create content for you, you can go here and create a custom writing login. So, if you are seeking to express yourself on a free and open platform, and bring to life your best artistic agents, YouTube is the place for you! Take advantage of the creative freedom the internet offers! Another way YouTube can help actors is by serving as a type of casting agency where you can upload your demo reels for all to see. This is very practical, because casting agents search for new talent everywhere, including YouTube. Due to the site’s high traffic, it makes for an excellent tool for you to market yourself to producers and directors. Obviously, you won’t be the only actor on YouTube. Like you, thousands of other actors are looking to be noticed and land gigs as a result. YouTube presents you with an opportunity to work with these other actors by making videos and promoting one another’s work, thereby increasing your chances of making it to the big show. Turn your rivals into collaborators! If your channel becomes popular with a YouTube audience, it’s possible to generate income from all the views, likes, and shares your video gets. While advertising isn’t a reliable way to make money unless you’re one of the biggest, most viral stars on the net, you can also end up getting influencer deals or start a Patreon and earn support from your most ardent fans. YouTube is your gateway to success! If all of this still seems implausible, just think about celebrities like Justin Bieber, Kate Upton, and Alex Tanney. They uploaded their work to YouTube, got exposure, went viral, and now they are industry titans. You’ve got to start somewhere! With 2.07 billion active users on Facebook, 330 million on Twitter, and 467 million on LinkedIn, many aspiring and established actors are promoting their work on social media sites. 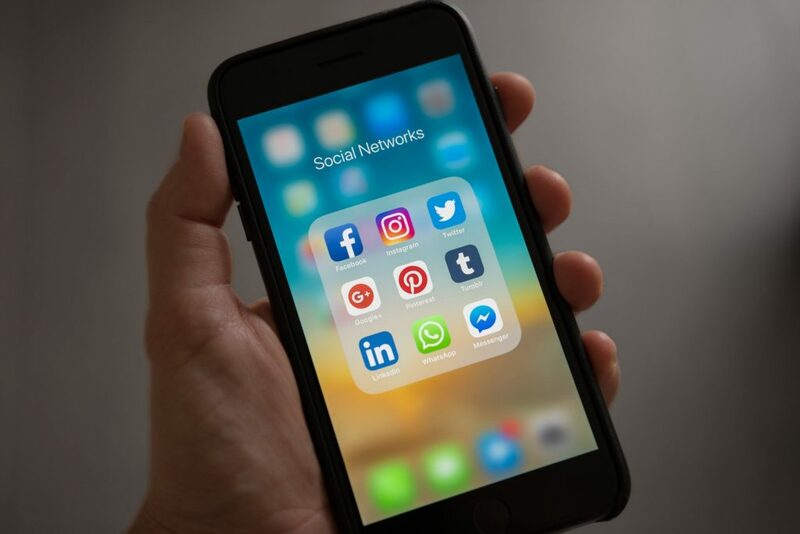 If you’re hoping to utilize your social media accounts to make new connections and build a fanbase as a professional actor, you’ll have to engage with people on one or more social media site. With that said, many of us are warned about the potential pitfalls of social media As an aspiring actor, you’ll want to be on top of your game when promoting yourself on social media because each decision you make can impact your acting career significantly. Want to be ahead of the game? 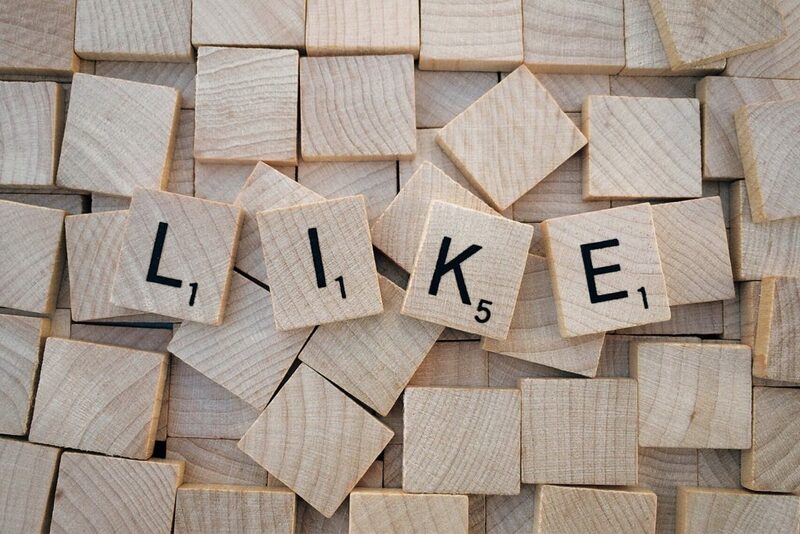 Follow these seven tips and tricks to help create a lasting social media presence. 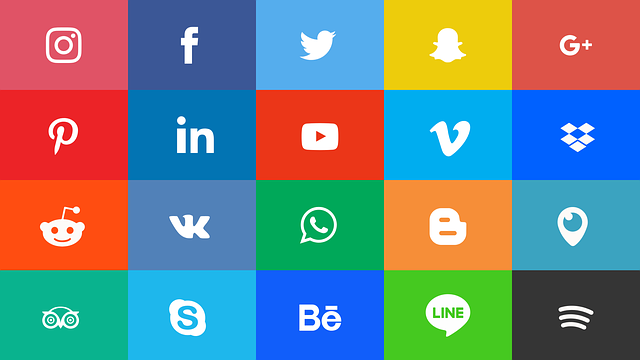 There are many different social media platforms, but that doesn’t mean you need to have a presence on all of them. Start with one or two you are familiar with and build your presence on those accounts. For example, start off by creating your Facebook fan page or Twitter handle. Take the time to learn tricks and techniques that will help you grow a following on those sites before adding another. Don’t post anything lewd, crude, or otherwise inappropriate. You are trying to be marketable and professional. Causing controversy results in neither of those things. Everyone occasionally makes mistakes, but constant misspellings or incorrect grammar could distract from your acting chops. Remember, if you want someone to take your acting seriously, you have to consider every post you make as a reflection of your professional self. Remember to carefully proofread your posts and have another person take a glance as well. Don’t just post all text posts or constantly show off videos. Give your audience variety with text, picture, and video posts. All fans like something different — some may enjoy videos, some pictures, and some may like a little bit of everything. Make sure you take the time to create fun and engaging posts of all types for the best results. Don’t post something just to post! First, consider how meaningful your post is to your “brand.” Does it benefit you or your target audience? Does it contribute something unique and essential to your brand? If not, then don’t post something as filler. 6) Don’t Leave People in the Dark! While you shouldn’t post something for the sake of posting something, you also don’t want to abandon your social media presence for weeks or months at a time. Make a regular schedule to commit yourself to and make sure your followers are aware of when new posts will appear. Believe it or not, it’s actually helpful to not talk about yourself all of the time. Sure, you need to be comfortable with promoting yourself, but you also don’t want to come off as egotistical. People enjoy seeing actors who are compassionate , hardworking, and human. Brag about your latest role, but also praise fellow actors and productions you recently enjoyed. Looking for a more permanent boost to your acting portfolio? Browse our acting program and other areas of study. Whether you are putting together a web series to showcase your comedic talents or nurture dreams of being the next beauty, gamer, or film vlogger superstar, having filmmaking skills will help your YouTube channel achieve a professional look. Camera skills, the ability to work with sound, lighting, and actors, and good editing skills, all lend themselves to creating content that inspires viewers to subscribe instead of moving on to someone else’s offerings. Most viewers determine whether they will watch a YouTube video in the first few seconds, according to WikiHow, so it’s vital that your intro is compelling and professional. Whether you use music, title cards, voiceover, or a teaser, film school gives you the production, design, and editing skills you need to pull a viewer in and keep them from looking for the next big thing. The delight of YouTube is in its endless choice and variety for the viewer, which is of course the challenge for the content creator. Bad camera work and lighting can give a viewer an excuse to find what they’re looking for elsewhere, so why give them that excuse? Film school teaches you the technical aspects of using your camera and of how to work with lighting, both natural and artificial, so that you can make the most of your budget, as it grows with your channel. “Bad video is forgivable. Bad audio is not,” declares this No Film School article. But as it goes on to say, recording clean audio is not easy, and fixing it in post-production is also not easy. As with camera work and lighting, you can teach yourself through trial and error, but in film school you will learn from the trial and error of others, and start with a firm footing that can minimize wasted time and disasters. Finding the right actors and directing them to achieve your goals is no easy task. Film school can teach you where to find actors, what to look for in the hundreds of headshots and resumes, how to conduct auditions, and finally how to direct them to help you achieve your goals. And for actors, having some experience in front of the camera is vital to connecting with your audience, so that they feel that they know you. As we talked about in this article, acting for the camera is very different from acting on stage. There is an intimacy demanded by the camera for film and television that is at least as important for YouTube since so many people watch it on small personal screens. Connecting with compatible and talented people is no small thing. We can’t say it enough: Filmmaking is a collaborative effort, and the connections you make in film school with both your instructors and your classmates will likely prove invaluable. As your YouTube channel grows, you will be glad you have people to call on to help you produce a steady stream of quality content for your millions of YouTube subscribers! Learn more about filmmaking at the New York Film Academy. 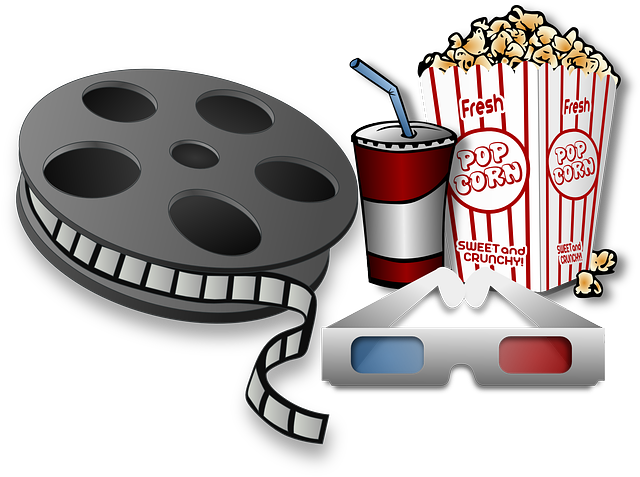 Vimeo as a Distribution Service – Is Google’s Monopoly Under Seige? Despite having been among the top five most-visited websites for some time now, the Google-owned YouTube has gone through numerous changes over the years while trying to figure out how best to present itself—a process many believe is still in full swing. 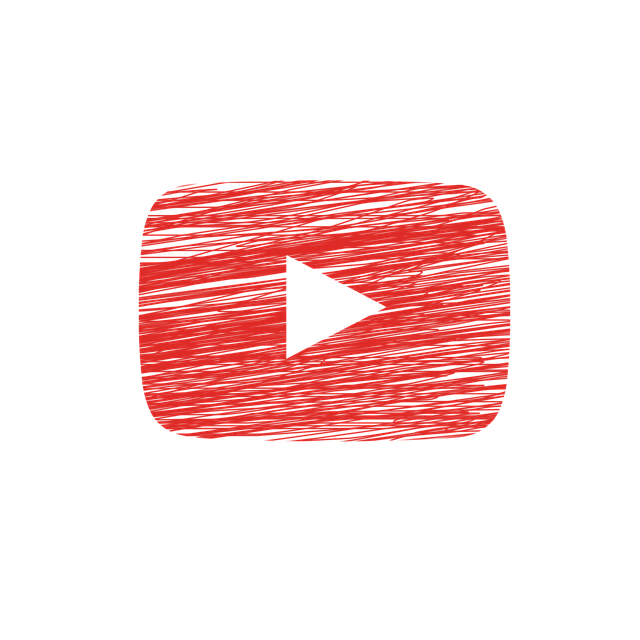 In the interim, however, independent filmmakers and producers of every persuasion have been exploring what can be achieved on YouTube, often to great effect. No longer deemed as a stamping ground purely reserved for the amateur or semi-pro, YouTube has become a hugely viable distribution platform in its own right. 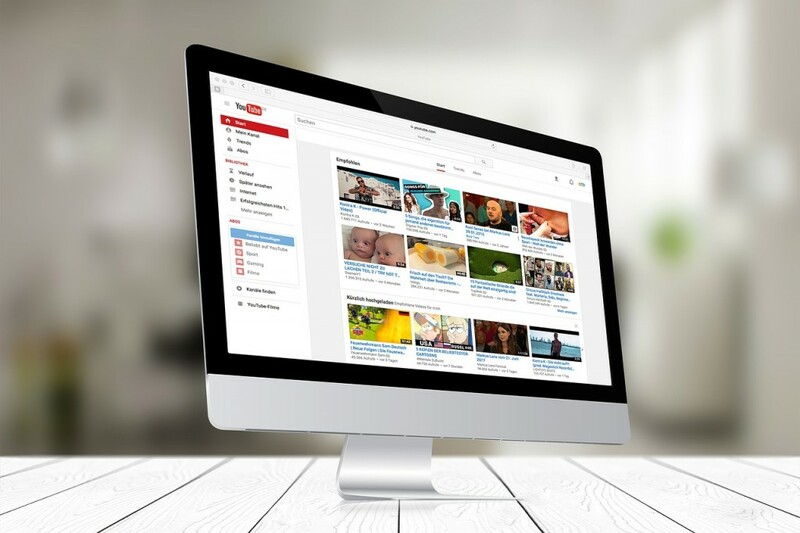 The potential for audience outreach on YouTube, as well as the built-in monetization, is well publicized and has seen many independent projects reach stratospheric heights. Creating video content specifically for online media sites has become so pervasive that it has necessitated its own insurance provider… but it’s not all smooth sailing in YouTube land. Regardless of the site’s popularity surge, for content creators it can often seem that YouTube is progressing on a two-steps forward, one-step back basis. Just as long-standing complaints are ironed out, Google will roll out changes which almost across the board baffle and irritate channel owners (such as the controversial new One Channel design which was made mandatory for all users, and the forced integration with Google+). In addition, the ad revenue split regularly comes under fire as being unfavorable with less than 50% going to the content creator—a big disparity when compared to other online markets such as the Apple app store which only takes 30%. As such, it can be difficult to justify the effort for a professional filmmaker who spends years getting through producing school, creates and uploads quality work, pushes hard to gain an enviable audience of thousands, and receives a virtual pittance in recompense. But detractors be damned, perhaps, since Google almost has a monopoly in this area. After all, it’s a hard service to compete against given the astronomical costs of hosting this volume of streaming media—although Google keeps official operating costs under its hat, it has been estimated to burn anything around $500m a year and up just to keep servers running. As such, there’s only a handful of competitors operating today that pose any kind of real threat. Chief among them is Vimeo. How does it stack up against the ubiquitous YouTube, particularly for independent producers? We’ll have to start off on a negative here since it’s the most obvious difference between Vimeo and YouTube. The basic account only allows for 500Mb per week of video uploads and only standard encoding of videos (which all display banner ads). Naturally, this is a big drawback for filmmakers—not in terms of file volume, but file size given that most projects these days are shot in HD and even a five-minute short can max out the 500Mb limit in a single file. The Vimeo Plus account (at $9.95 a month or $59.95 for the year) is a bit more forgiving with a higher limit of 5Gb per week of storage space and unlimited HD uploads. However, this is all academic anyway. If the uploader is looking to produce commercial videos, they’re obligated to sign up for a Pro account. As this caveat will apply to most producers, this will set them back $199 and there are still limits on the amount you can upload, but as of last October this has been upgraded to 20Gb a week or 1Tb a year. Fine for most usage, but it’s still a limit that YouTube doesn’t enforce. Another downside is the lack of editing options within Vimeo itself, although the rudimentary video editing features offered by YouTube are usually ignored by anyone with even basic post-production skills anyway. But let’s get onto the good stuff. One major benefit to Vimeo is the ability to create unlimited channels. While YouTube technically has this capacity, multi-channel management via Google accounts is cumbersome at best. This kind of feature is ideal for those who want to host one channel featuring polished film work and another to host a production vlog or other supplementary material. Vimeo also has the edge over YouTube when it comes to social sharing. Given that the latter is owned by Google, it’s not surprising that YouTube is mainly geared around G+ sharing and only provides cursory tools for Facebook and Twitter sharing. Vimeo, on the other hand, has no such biases and users are able to fully link their video content with a whole plethora of social media accounts. In the long run, this has a noticeable benefit to the amount of viewers attracted through natural, cross-platform sharing. Another point worthy of note is that Vimeo has recently implemented pay-per-view functionality, a feature-oriented YouTube have been struggling to get off the ground so far. While it won’t be a revenue model every filmmaker or producer will want to explore, the in-built tip jar feature is a solid alternative for raising money from an established fan base. But perhaps the biggest kick in the teeth for YouTube is Vimeo’s 90/10 profit split on their On Demand service (which is available to Pro account holders only). That is a figure which will give any filmmaker serious pause for thought, and one which competitors are going to have a hard time trying to catch up to. The Perfect Solution for Feature-Length? On the face of it, at the time of writing Vimeo seems more geared up towards being a feature-length film distribution service (particularly given its quicker upload times and monetization structure). Of course, this is only useful to producers if there are people on the platform to actually consume their content—while Vimeo’s 60+ million visitors per month is nothing to be sniffed at, the fledgling service have a long way to go to catch up to YouTube’s 800 million. But the online video sphere is changing at a phenomenal rate, and it remains to be seen which way each services will evolve and grow over time. In essence, independent filmmakers and producers will always find ways to innovate, both in a creative and a business sense. Where they will ultimately choose to do so is still anyone’s guess.